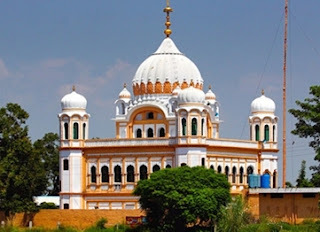 Armed attack on Sikh preacher Baba Ranjit Singh Dhadrianwale was virtually in public. The culprits had set up Chhabeel the free water service kiosk publicly. Thus there should not have been big problem in identifying the culprits. But if the police has not declared the identity of culprits it becomes clear that police are under pressure to shield the criminals. Last time police was found to be helpless in case of desecration of Sri Guru Granth Sahib at various places. It had to release some culprits due to pressure from higher ups. 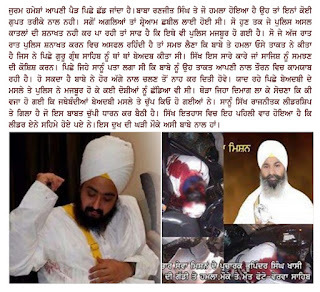 Baba Dhadrianwale was active in demanding the action on culprits. Later it was rumoured that under pressure Baba has also reconciled with that secret force responsible for desecration. May be the Baba has further refused to be in line with that force. Please keep in mind that all organisations demanding action on culprits of SGGS desecration have become silent. Sikhs need to understand this phenomenon. I believe the real culprits are the political parties who are tolerating this highhandedness of the secret agency. If I am wrong can any body tell if some party is demanding action against the culprits of desecration.